Is Your Child at Risk for Baby Bottle Rot? When you have newborn babies or infants, one of the last things on your mind is whether or not they have good oral hygiene – after all, they don’t even have teeth! This is one reason people are surprised to learn that even though babies don’t have teeth, they can still have dental problems, and when the teeth begin to come in, these problems can be quite serious. One of those serious problems is baby bottle tooth decay. Today, Forster Dental Centre is going to look at what baby bottle tooth decay is, so you can make sure your children avoid it. Prolonged exposure to the sugars in milk or juice wears away the enamel on temporary teeth, particularly those in the front of the mouth. If you’ve ever heard someone talk about “baby bottle tooth decay” or the even more evil-sounding “bottle rot,” this is what they are talking about, and it’s a condition to avoid at all costs. If a baby’s gums and teeth aren’t cleaned properly after eating, the sugary milk residue left in their mouth increases the risk of tooth decay. 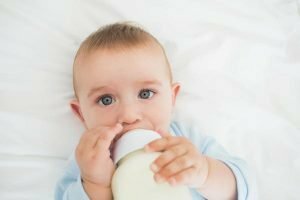 Worse, if bottles are left with babies for prolonged periods, sugary milk residue builds up in the mouth causing to bacteria growth, plaque, and eventually decay. If bottle rot does not receive proper treatment, symptoms will continue to worsen, temporary teeth can be lost, and even permanent teeth can be affected. Tooth decay develops when a baby’s mouth is contaminated by acid-producing bacteria. The bacteria is usually passed to babies by caregivers who pass it to them through shared saliva. Bacteria can be spread by saliva on spoons or cups, testing foods before feeding them to babies, or cleaning a pacifier in a parent’s or caregiver’s mouth. 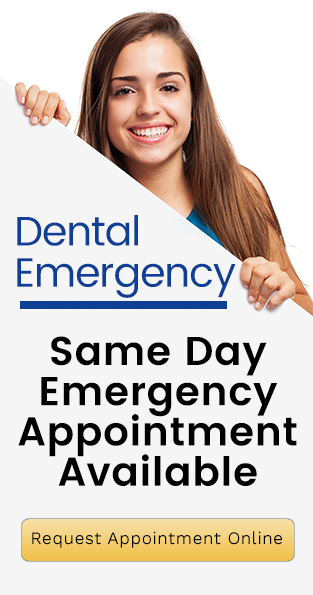 Tooth decay also develops when a child’s teeth and gums are exposed to liquid or food for long periods or repetitively during the day. Sugars in the liquid or food are metabolized to acid by mouth bacteria. This acid then dissolves the outer part of the teeth, causing them to decay. This commonly happens if parents put their children to bed with bottles of formula, milk, juice, soft drinks, or other sugared drinks. It is also caused if a baby is allowed to have a bottle for prolonged periods of time. If your child is under a year old, gently clean their teeth and gums with wet cloth after eating. Between the ages of 12 and 18 months use a soft baby toothbrush with a tiny bit of toothpaste (no fluoride!) to clean your child’s teeth and gums. Once your child turns two and is capable of intentional spitting, use a very small amount of fluoride toothpaste to clean their teeth. Make sure your child doesn’t swallow any toothpaste. Once all of your child’s teeth have erupted, begin flossing. While giving your child a bottle to put them to sleep may comfort them, it also exposes them to sugary milk or formula for long periods of time, increasing the chances that your child will develop decay and cavities. Also, the sooner you can introduce them to a cup instead of a bottle, the more you reduce the risk of tooth decay.